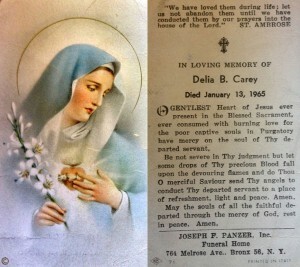 Both sides of a prayer card for Delia B. Carey, 13 January 1965. A great way to begin tracing your family history is to interview living relatives, asking for relevant birth, marriage, and death information. These interviews sometimes yield specific information (or at least an estimate), and you can then contact the appropriate authority to provide a copy of the original vital record. U.S. Federal Census or state census. While census records often include birth and marriage information in terms of ages (e.g., how old were you at your first marriage? ), they can provide enough information to determine when and where an event occurred. For example, if a person disappears from the census, or the spouse is listed as a widow, he or she may have died between enumerations. Newspapers. Birth notices, marriage announcements, and obituaries are often printed in the newspaper. Several sites have large collections of digitized newspapers, such as GenealogyBank, Newspaperarchive.com, Newspapers.com, Google News Archive, and the Library of Congress’s Chronicling America Collection. To locate local newspapers, check with the local library. School records. Yearbooks, class books, and alumni directories often include personal information about students, such as their birth dates and spouses’ names. NEHGS maintains a large collection of class books for Harvard and Yale, as well as other colleges and universities; Ancestry.com has a database of U.S. school yearbooks from 1800 to 2012. Membership cards/applications. From the Masons to the DAR, membership cards/applications often provide specific information about their supporters. If your ancestor belonged to a society, you should research whether the organization maintained membership records. Bank or insurance records. Follow the money! If your ancestor invested, or held a bank account, his or her birth, marriage, or death information may be included in the records of that institution. For example, the records of the Massachusetts Catholic Order of Foresters (MCOF) contain a wealth of information, including the names of the insured’s children and parents. These are just a few of the modern alternatives; many more exist. Tomorrow I will outline some of the common vital record alternatives for older generations, such as probate records and cemetery stones. Don’t forget to tune in! We may speculate on things as well that Grandma never told us. For example, my Grandma Mary Wood Small was so dark that she looked “ethnic”. But she never revealed herself to be other than Irish and her family immigrating long ago from County Cork with a bit of Scots- —-Campbell and the poor side of the Argyles in the mixture. Because of her family names “Wood” and “Wing” an hypothesis was developed that she had to have American Indian in her….. in fact her own grandmother was a full blood so goes the theory. When I did genetic ancestral testing I was totally surprised that nothing “native ” was found….. other than a discovery that I am as French as I am German …. a nice touch to add to my known British Scots- Irish and German ancestry. And as far as the darkness . I am discovering a lot of the Wing side as in “Winge” is “dark”. Now if I could just figure out my French ancestry ! I always “knew” that my maternal grandmother was born on May 12, as that’s when we celebrated it. When I went to my grandmother’s hometown in WI in the 1970s looking for family gravestones, however, I stumbled on my grandmother’s original baptismal record. It showed her birth date to be May 13, not May 12. The pastor of the church holding the records told me that often 19th c. families were off by a day or two. Looking up my grandmother’s first birthday in a perpetual calendar, I discovered it fell on a Friday the 13th. So my surmise is that, Norwegians being as superstitious as anybody else, the family celebrated her first birthday on the 12th. She was from a large family, and eventually, her birthday “became” the 12th. So far, I can’t prove this hypothesis, as births weren’t recorded in WI back that far. But it makes a certain amount of sense out of an inconsistency between the only record we currently have and when her birthday was celebrated when she was an adult. This must not be uncommon. I have one grandfather who celebrated on the 19th, as stated on his late-filed birth certificate; but his original one says the 21st. 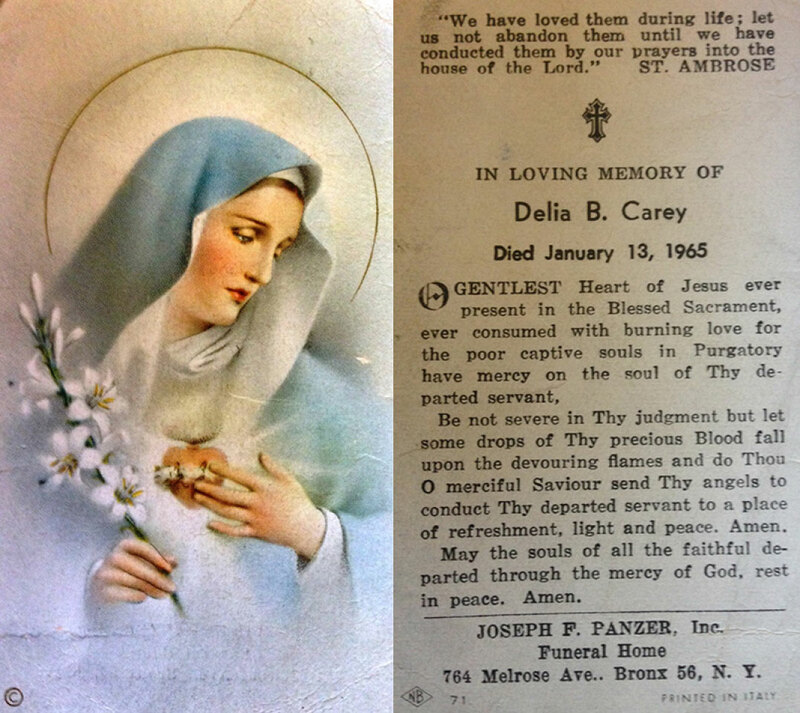 (Must not have been able to locate the original during WWII, so she filed a late one; but he must have celebrated on the 19th all his life). Have a grandmother who celebrated on the 27th all her life; her original certificate says she was born on the 28th. I usually remember the rule of thumb is to go by the most contemporary record, but it is a mystery, one which neither of them could answer. Then there’s the mystery of why my other grandmother’s certificate says her mother’s name was “not stated”. Not her father, her mother…….